Embrace your child’s wintertime birthday with a party that features a favorite frosty weather activity: ice skating! Even if your guests aren’t experienced skaters, an ice skating party can provide a fun opportunity to learn the basics. 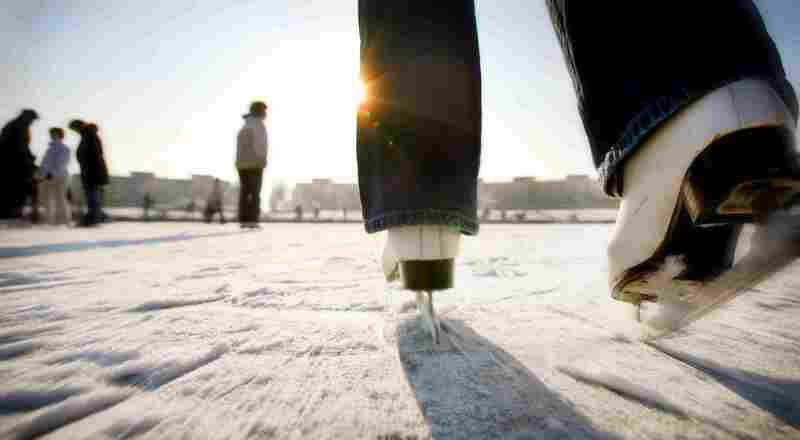 Those with seasoned ice skating skills will also love these ideas for partying on the ice rink! A paper printout from your home computer that features ice-skating themed clipart in the design. Many public ice skating rinks are likely to have a birthday party package available for your occasion. If not, you can inquire about renting the facility for a private party, or acquire a group rate for your skating session. An arena that offers birthday packages may also provide a private room where you can serve food, enjoy the birthday cake and open gifts. Other places to have an ice skating party include the park (check about permits from the parks department), or your own backyard if you’re lucky enough to have a lake on the property. Another fun idea for a "Birthday on Ice" celebration is to take a couple of your child’s friends to an actual ice skating show, and then head to the public rink for a skating session where guests can show off some of their own moves after the performance. You can even invite kids to come dressed in tutus and leotards! When the kids change from their shoes to their skates, place all of their shoes in a pile. When it is time to retrieve their shoes, blindfold them and see who can pick out their own shoes from the pile. Make cute ice skating pins.